François Alexandre Nicolas Chéri Delsarte (19 November 1811 – 20 July 1871) was a French singer, orator, and coach. Though he achieved some success as a composer, he is chiefly known as a teacher in singing and declamation (oratory). Delsarte was born in Solesmes, Nord. He became a pupil at the Paris Conservatory, was for a time a tenor in the Opéra Comique, and composed a few songs. While studying singing at the Conservatoire, he became unsatisfied with what he felt were arbitrary methods for teaching acting. He began to study how humans moved, behaved and responded to various emotional and real-life situations. By observing people in real life and in public places of all kinds, he discovered certain patterns of expression, eventually called the Science of Applied Aesthetics. This consisted of a thorough examination of voice, breath, movement dynamics, encompassing all of the expressive elements of the human body. His hope was to develop an exact science of the physical expression of emotions, but he died before he had achieved his goals. Delsarte coached preachers, painters, singers, composers, orators and actors in the bodily expression of emotions, otherwise known as pantomime, but what he called Applied Aesthetics. His goal was to help clients connect their inner emotional experience with the use of gesture. Delsarte categorized ideas related to how emotions are expressed physically in the body into various rules, ‘laws’ or ‘principles.’ These laws were organized by Delsarte in charts and diagrams. A French student of Delsarte’s, Angélique Arnaud, stated “Delsarte published no book on art. The basis of the science he created is contained in a synthetical table. Other tables develop each branch of it considered separately” (1892, 171). After Delsarte’s death in 1871, his theories were preserved in fragments on mere scraps of paper, diagrams and charts, and scribbled on chairs and doors (Werners Magazine 1893, 420). Delsarte did not teach systematically but rather through inspiration of the moment, and left behind no publications on his lessons. In America, Delsarte's theories were developed into what became known as the Delsarte method or Delsarte System. Delsarte's ideas were influential to the physical culture movement in the late 19th century. Delsarte's sole American student Steele MacKaye brought his theories to America in lecture demonstrations he delivered in New York and Boston in 1871. Delsarte never wrote a book explaining his method, and neither did his only protégé, actor Steele MacKaye. However, MacKaye's student Genevieve Stebbins wrote a book in 1885 building on the foundation of Delsarte's theories titled The Delsarte System of Expression, which became a wild success with six editions of her book. Numerous copycat publications followed. There was a renewed interest in Delsartism in the 1890s in Europe. The principles of Delsarte were incorporated into German modern dance through the influence of Isadora Duncan, Ruth St. Denis and Ted Shawn. Ironically, it was the great success of the Delsarte System that was also its undoing. By the 1890s, it was being taught everywhere, and not always in accordance with the emotional basis that Delsarte originally had in mind. No certification was needed to teach a course with the name Delsarte attached, and the study regressed into empty posing with little emotional truth behind it. Stephen Wangh concludes, "it led others into stereotyped and melodramatic gesticulation, devoid of the very heart that Delsarte had sought to restore." Delsarte was the uncle of composer Georges Bizet and grandfather of painter Thérèse Geraldy. Franck Waille, Christophe Damour (dir. ), François Delsarte, une recherche sans fin, Paris, L'Harmattan, 2015. Wangh, Stephen. An Acrobat of the Heart: A Physical Approach to Acting Inspired by the Work of Jerzy Grotowski. New York: Vintage Books, 2000. Franck Waille (dir. ), Trois décennies de recherches européennes sur François Delsarte, Paris, L'Harmattan, 2011. Alain Porte, François Delsarte, une anthologie, Paris, IPMC, 1992. Franck Waille, Corps, arts et spiritualité chez François Delsarte (1811–1871). Des interactions dynamiques, PhD in history, Lyon, Université Lyon 3, 2009, 1032 pages + CDROM of annexes (manuscripts, interview of Joe Williams, video reconstitutions of body exercises) (the last and longer chapter of this thesis concerns Delsarte training for the body). Nancy Lee Chalfa Ruyter, "The Delsarte Heritage," Dance Research: The Journal of the Society for Dance Research, 14, no. 1 (Summer, 1996), pp. 62–74. Delsarte system of expression, by Genevieve Stebbins; public-domain, online version on Internet Archive. Carolina W. Le Farve. (1894). Physical Culture Founded on Delsartean Principles. New York: Fowler & Wells. Edward B. Warman. Gestures and Attitudes: Exposition of the Delsarte Philosophy of Expression, Practical and Theoretical, 1892. 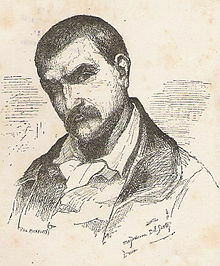 "Delsarte, François Alexandre Nicolas Chéri" . New International Encyclopedia. 1905.